Two ‘secret’ chambers have been discovered in Egypt’s 4,500-year-old Great Pyramid of Giza. 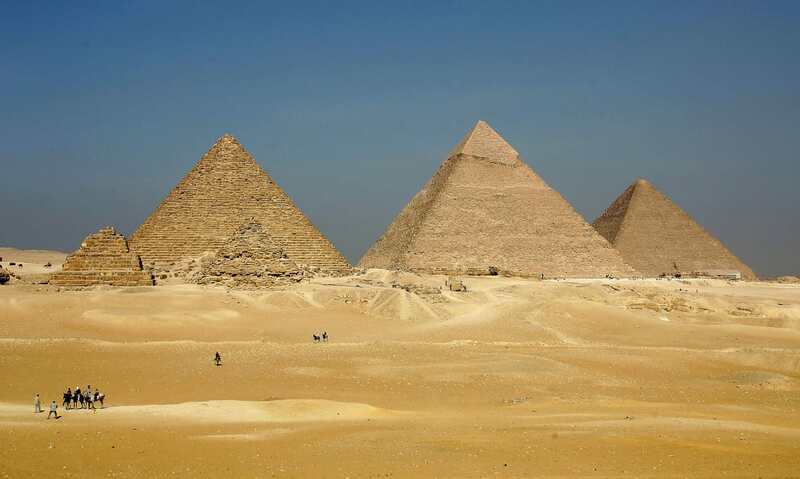 Researchers studying the pyramid, built around 2560BC as a tomb for the Egyptian pharaoh Khufu, believe they have discovered two previously-unknown cavities after scanning the centuries old tomb using revolutionary radiography equipment. 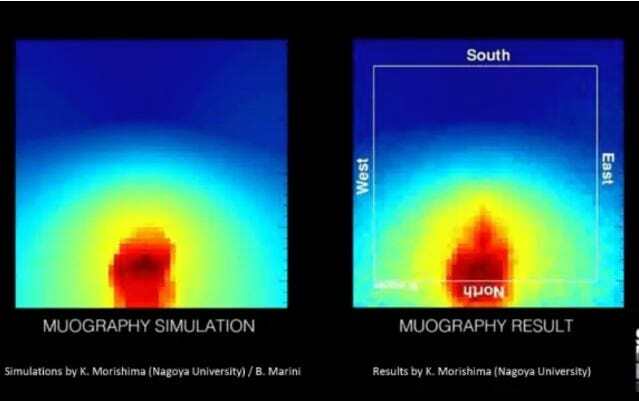 Scan Pyramids, a collaborative project involving universities, companies and scientific institutes, has been using muography, thermography and 3D simulation to discover more about the pyramid, the Telegraph reports. Last year, thermal scanning identified a major anomaly in the Great Pyramid, sparking a debate over whether there was a long-running network of tunnels hidden away inside. And on Thursday, the Ministry of Antiquities announced that ‘two anomalies’ were found in the pyramid built under King Khufu. They are now looking to conduct further tests on the 146m-high monument to determine their nature, function and size. 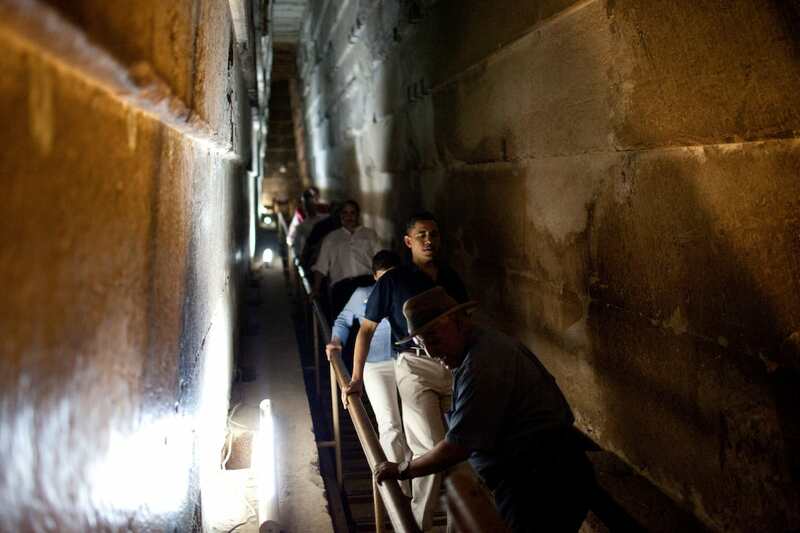 We are now able to confirm the existence of a ‘void’ hidden behind the North Face, that could have the form of at least one corridor going inside the Great Pyramid. The precise shape, size, and exact position of this void is now under further investigation. It should be done with the help of 12 new Muon Emulsion plates that are installed in the descending corridor, and will be collected by the end of October 2016. The Pyramid of Khufu, named after the son of Phara oh Snefru, is considered one of the seven wonders of the ancient world. 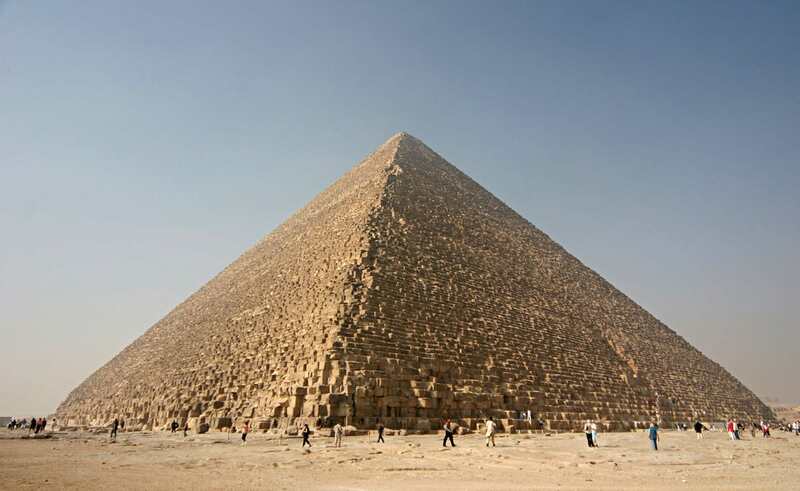 It has three known chambers, and like other pyramids in Egypt, was intended as a pharaoh’s tomb. The team is continuing to acquire muon data inside Khufu’s Queen Chamber and expect to have the results of the analysis of those instruments during the first three months of 2017.